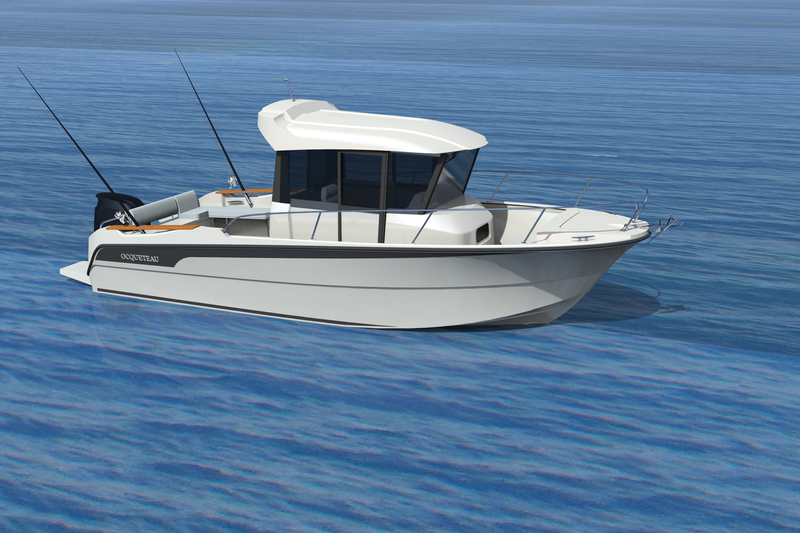 After the success of the OSTREA 700 INBOARD and the launch of the new OSTREA 800 Pro Fishing INBOARD, the new OSTREA 800 OUTBOARD is born, in Pilothouse or T-Top version ! One more time, pure happiness for fishermen...but not only ! OCQUETEAU is the only shipyard making motorboats less than 10 meters with an infusion hull, IFH (Infusion Fiberglass Hull) process, which makes it possible to build hulls that are both stronger and lighter: the technique developped for 60 years of experience ! EVINRUDE has been committed to creating, developing, rethinking and reinventing the outboard engine for more than a century. Innovation is its driving force! An OCQUETEAU-EVINRUDE partnership was therefore obvious: they are sharing 3 main criteria such as performance, marine behavior and comfort in navigation. Do not hesitate to contact your dealer for more information. You must OSTREA 600 in a semi-PRO version, equipped with a Mercury 115 PRO CT Sea and a GPS system. Your Helmsman 625 Inboard, equipped with a Yanmar 110 hp, which inaugurates the new intèrieure extèrieure and finishing our Helmsman range. 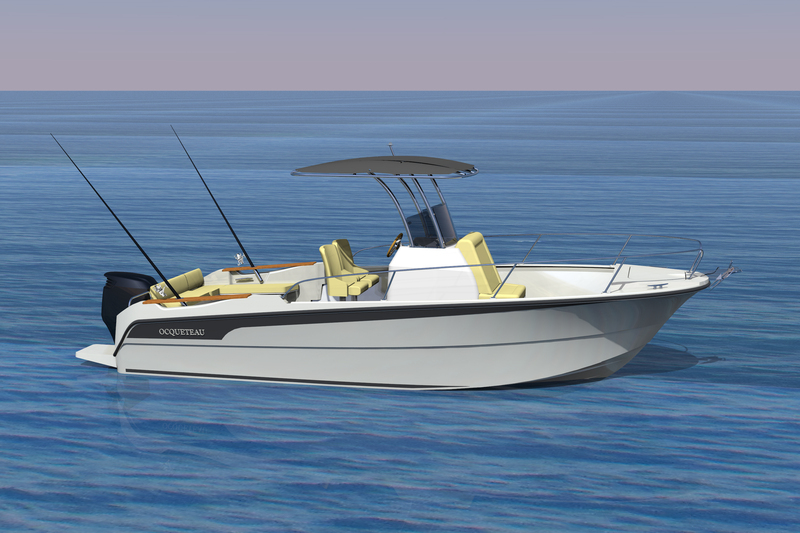 Your Helmsman 725, the most powerful in its class with its exceptional Carenne and engine EVINRUDE G2 200 hp. These boats will be tested on rv your dealer every day, late afternoon. We find in La Rochelle with great pleasure! Our new RANGE CRUISER 815 Inboard, the pleasure of sailing with the best comfort. All our boats are manufactured in Oléron Island. OCQUETEAU has been offering you, for more than 60 years, a complete range of motor boats, Ouboard and Inboard version . We will meet you at Paris with great pleasure! Meet OCQUETEAU at the Normandie Boat Show ! 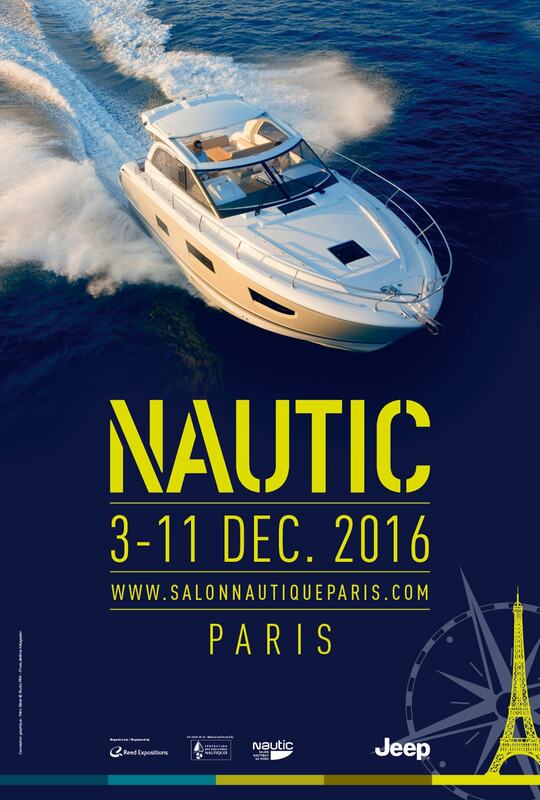 OCQUETEAU will be represented by its dealer SNIP Yachting at the Normandie Boat Show, the 14th, 15th and 16th of October 2016.
our OSTREA 600, our OSTREA 600 T-TOP and our ABACO 630 !